If you’re looking for some fun, new rhyming activities to try with your kids, these quirky rhyme slime games are sure to do the trick. 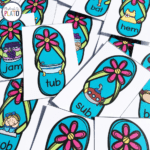 They’re the perfect compliment to our Rhyming Activity Pack! Teaching rhyming can be tricky. 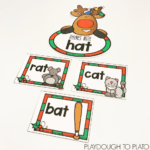 I was happy when I learned there is a rhyming teaching sequence. So you don’t have to worry about trying to teach rhyme identification and rhyme generation simultaneously. 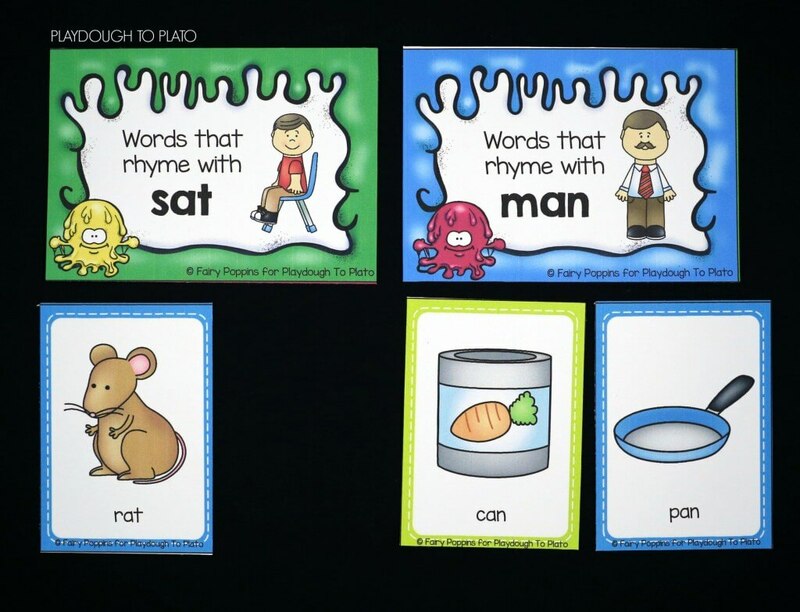 The next step, is for kids to learn how to generate rhyming words on their own. 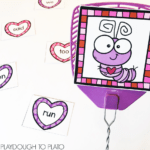 So at this level, the kids can be challenged with prompts such as “think of a word that rhymes with key and bee…. tree, knee, see, me, we, etc”. I’ve been advised before that even making up nonsense words is okay, as long as they rhyme. Kids certainly seem to love it when they can make up a word to rhyme with their own name. 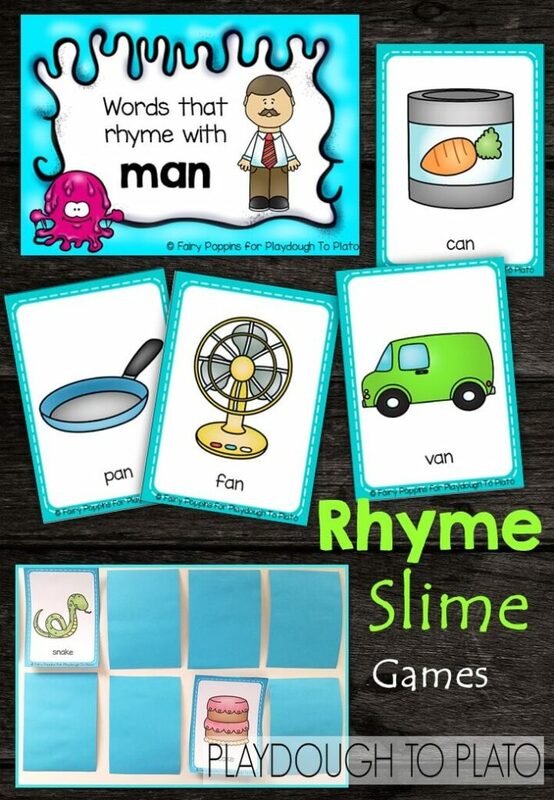 Once kids get the hang of rhyming they will hopefully appreciate that “rhyme” and “slime” rhyme. I was stoked when I thought of that combo, so I hope your students enjoy the following activities! 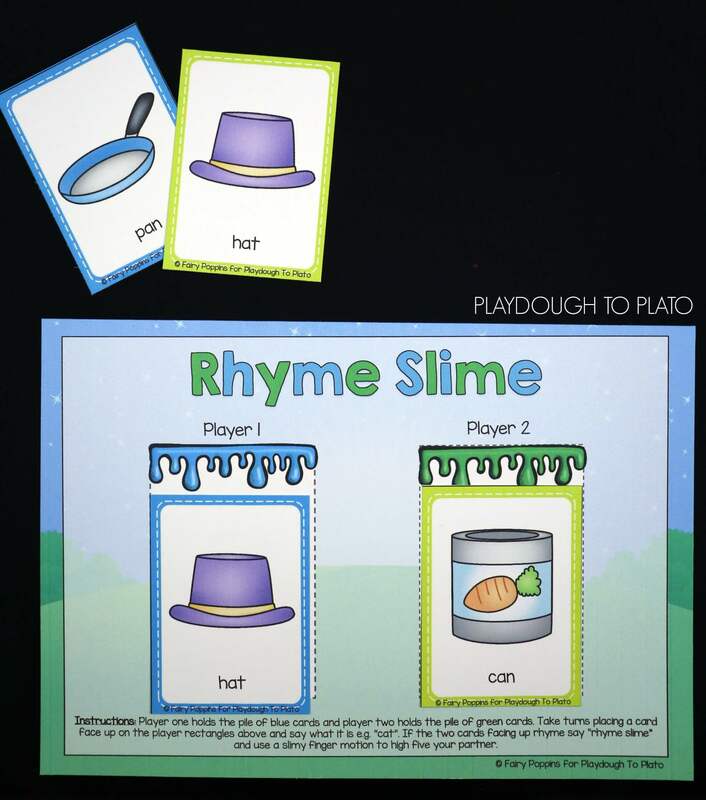 The first game you can play is Rhyme Slime, which is a bit like a game of snap but with a twist. Each player is given a set of rhyming cards and they take turns putting a card face up on the rhyme slime mat. They need to say the picture out loud e.g. “tree”. If there are two cards face up that rhyme, such as “tree” and “bee”, the players needs to say “rhyme slime” and high five each other with the motion of slimy, slithery fingers. It’s something a bit fun and different. 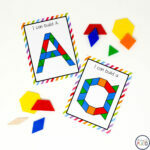 The next game is a picture sort that includes the rhyme endings of -at, -an, – ake, -ee. I usually work with two sets to begin with such as -at and -ee. I begin by laying out the headings and saying the sounds. I get the kids to take turns choosing a card and saying the name of the picture out loud. Then they have to place it below the mat that rhymes. The activity could be tweaked for kids who are ready to generate rhymes. 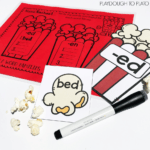 You can use the headings as prompts to see how many rhyming words they can come up with. The last activity is memory, also known as concentration. 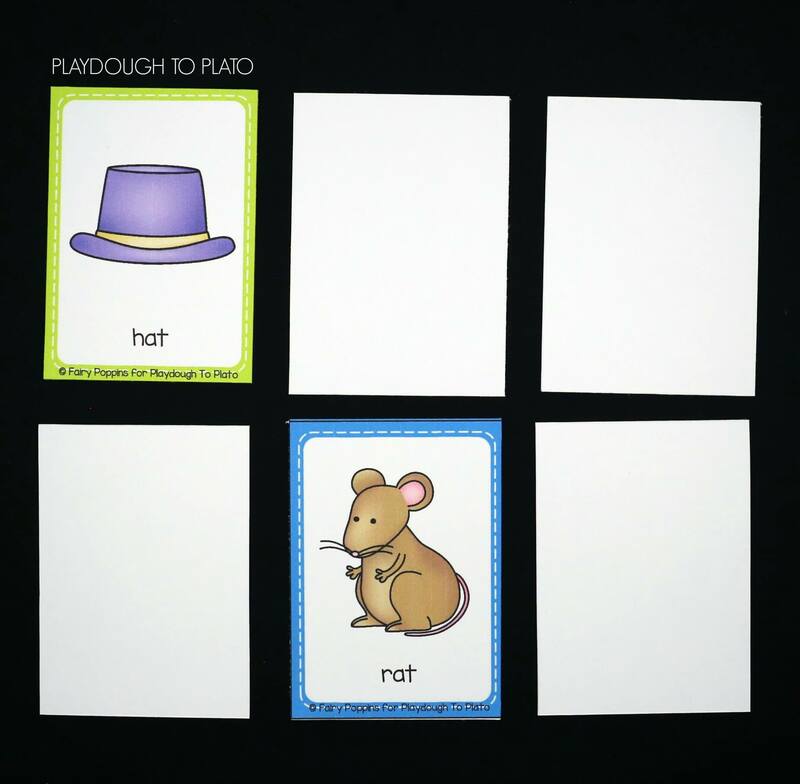 To play, kids randomly choose a few rhyming cards from the pile. For beginners, I’d stick to just two word families such as -at and -ee. Then lay the cards face down in rows. Each player turns over two cards at a time, if they rhyme they get to keep the pair and have another turn. If they don’t rhyme they need to turn the card back over and remember where it is. Then the next player has a turn. The player with the most pairs wins. Tip: Printing the cards on cardstock keeps players from seeing through to the other side. Ready to play Rhyme Slime?! 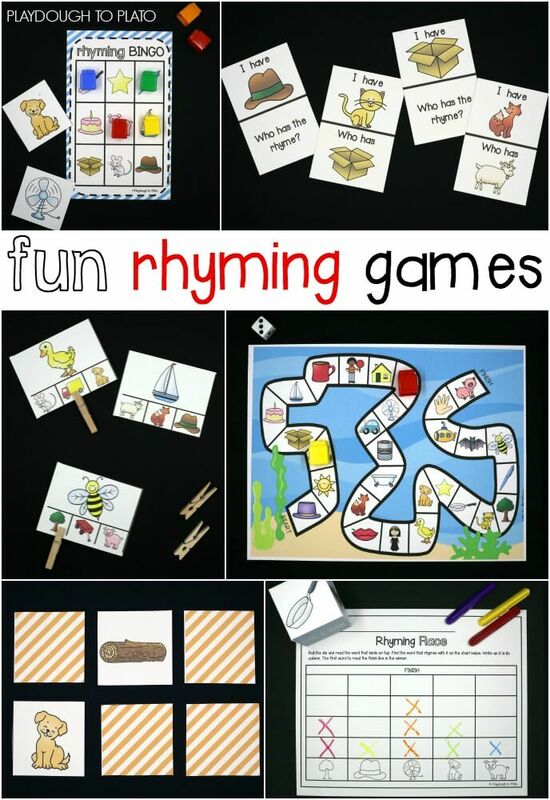 Click the download button below to grab your set and then grab eight more rhyming games kids love. I keep trying to buy the Books for Boys early reading pack, but the purchase never goes through. On the last page of paying, it won’t let me press to buy it. Can you advise me? I really need it for a specific student. Thanks! Hi Paula, sorry for the slow reply. 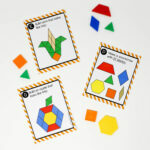 You can find this resource in the Playdough To Plato store here at: https://www.teacherspayteachers.com/Product/10-Guided-Reading-Books-for-Boys-460813 I hope that works. Thank you so much for this resource, it looks awesome! Thank you so much for your kind words– we are here because of folks like you!